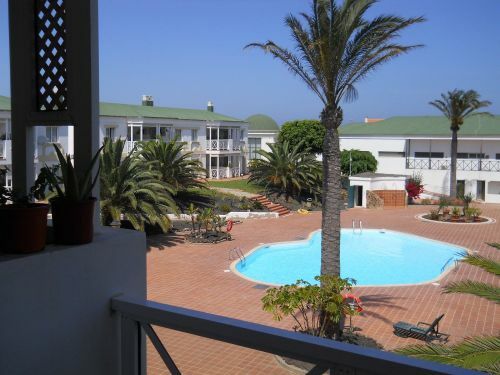 Ground floor apartment for sale situated in the complex Verdemar of Corralejo. 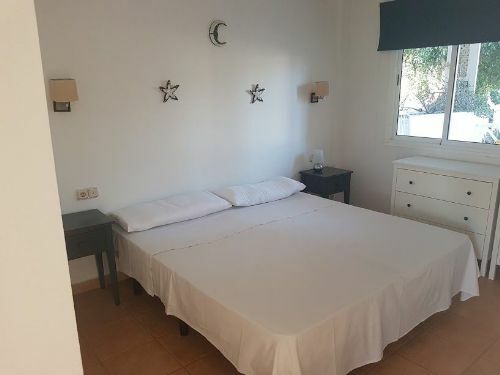 The complex is very quiet and safe, as it has fences all around, and it is equipped with a pool, as well as showers and sunbeds. 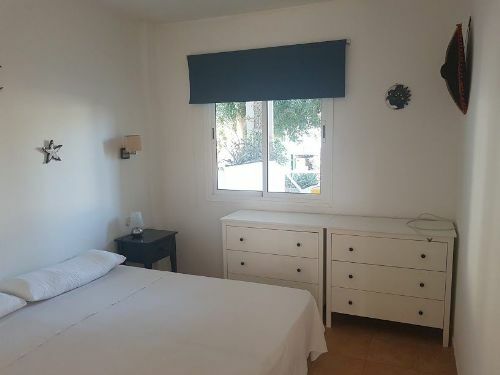 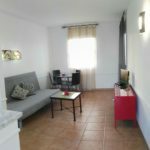 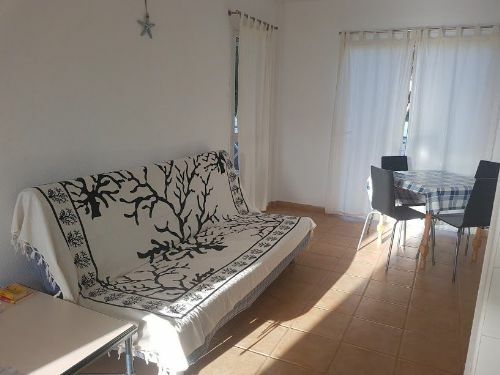 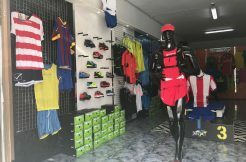 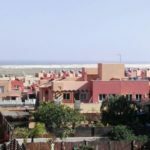 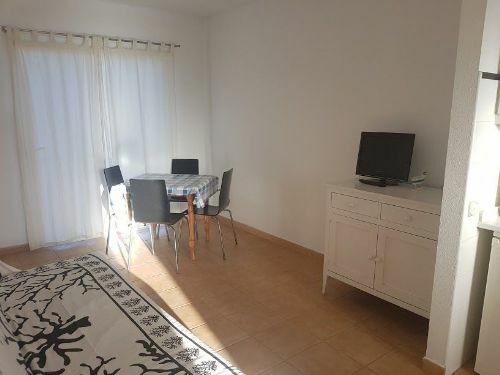 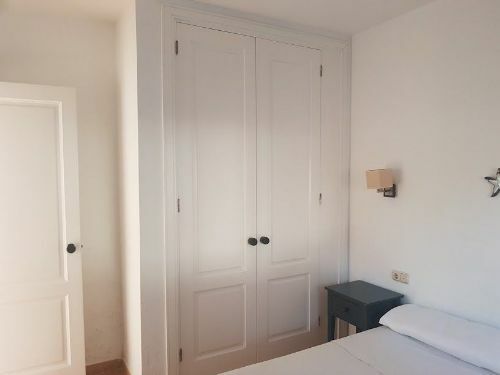 The bungalow is located right by the shopping centre “El Campanario” with shops, reastaurants, bars, pharmacy, supermarket and the bus stop is just outside the door. 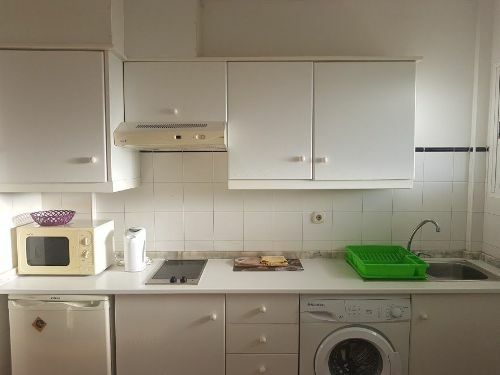 The flat has a total surface of 45 sqmt and it consists of a kitchen and living room area, bathroom with shower and a large bedroom with built in closet. 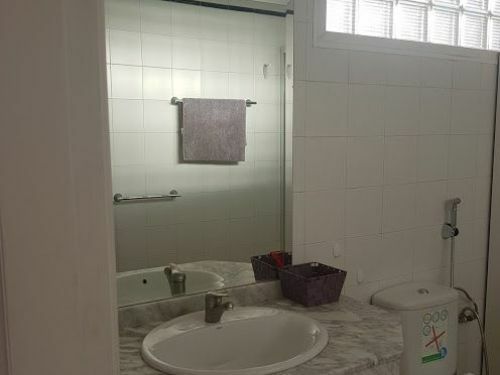 It is tastefully decorated and is sold furnished and fully equipped. 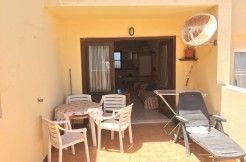 The living room has a direct access to a private terrace of 12sqmt with a relaxing view of the pool. 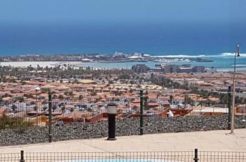 Within short walkind distance you also have the beaches of the town and the natural park of sand dundes of Corralejo. 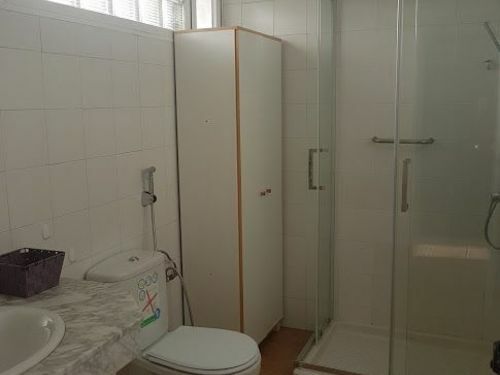 This is the perfect solution if you are looking for an investment opportunity.